“I believe Canada can achieve its workforce and prosperity goals with the help of Career Development Practitioners. The profession is exploding with opportunities,” says Sareena Hopkins, Executive Director, CCDF. We take our car in for check-ups and inspections, but something as important as our own career and the stage we are in with our employment tends to be left to chance. 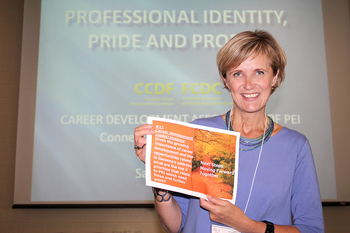 This is the insight that Sareena Hopkins of the Canadian Career Development Foundation (CCDF) in Ottawa brought to an audience of about 120 people at the Career Development Association of PEI (CDA of PEI) annual conference held in Summerside. Sareena says what stands out in her own career path is how incredibly blessed she is to be part of a community practice world-wide doing exactly what she always felt she was meant to do: helping people live healthier and happier lives through career development. According to the October 2015 Statistics Canada Labour Force Survey, 74,400 people are employeed on PEI. However, 8,200 people are looking for work, and this is not counting those who are employed but looking for a career change. CDA of PEI Inc. was formed in 1999 and incorporated in 2011. Its members are career and education providers, influencers, and stakeholders. 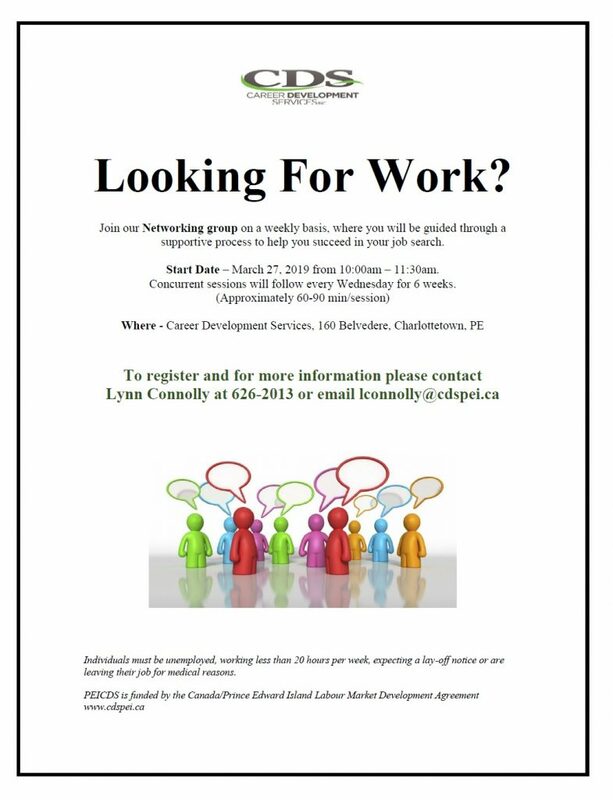 Its mandate is to seek out information and provide networking opportunities to empower its members on PEI. This year’s conference provided information on what is happening across PEI, Canada, and globally when it comes to advancing the career development profession while keeping the needs of job seekers in focus. “Every day, we see students and clients struggling to find their way,” says Sareena. “Many face unwelcoming and confusing labour markets. And as career development practitioners we also face our share of funding cuts and instability at work. For more details about the work being done with the Career Development profession on PEI, visit www.cdapei.ca. For job seekers looking for professional Career Development services and programs on PEI, click here. CCCD has been trying to make the field much more visible to funders, the media, and ultimately to the public they serve. Visit www.cccda.org. Every two to three years, researchers, policy makers, and practice leaders from around the world, including Canada, come together for a symposium on career development and public policy to exchange, bridge gaps, and collectively strengthen the field. Visit http://iccdpp.org. The International Association for Educational and Vocational Guidance has over 22,000 members world-wide. It can connect you to an entire global community of career practitioners. Visit www.iaevg.org. The Canadian Research Working Group on Evidence-Based Practice in Career Development is pushing the research agenda in the field. For more recent research and evaluation initiatives, visit www.crwg-gdrc.ca. Use this information to search for work or research a career on PEI or across Canada, plus more. List of over 100 job choices on PEI. Includes employment potential, wages, job description, educational/training requirements and more. A list of wages for over 100 jobs on PEI. Click on top occupations advertised in Canada to find the top occupations advertised on PEI. PEI news on new companies and company expansions. If you are searching for a new full-time or part-time job in the private or public sector, this has a list of resources that can help find job listings, create a résumé, choose a career, and assess your skills. PEI is focused on advancing economic development in PEI by investing in people, innovation, and infrastructure. They target key sectors that have a high potential for economic growth, including aerospace, bioscience (including agriculture and fisheries), information technology, financial services and renewable energy. Atlantic Provinces Economic Council – information on economic growth. Click for related articles about job search tips. Volunteering is a good way to build onto your resumé. You can also find your references this way. This video from Snagajob explains the benefits of volunteering well. For more human resources videos from BioTalent Canada, click here. Cold calling is one effective way to find out from potential employers, or friends and family who can lead you to potential employers, what jobs are open. Click below to view this video from Daniel Dreyfus Videos on a good introduction to cold calls. Many businesses and organizations use Facebook and Twitter to promote their services and occasionally post jobs. They also post jobs on their own websites and other job boards. Job seekers who apply by e-mail and then wait for the employer to contact them might be missing an important step in their job search. Employers keep telling The Employment Journey that face-to-face interaction is the best way to get hired. If you happen to meet an employer you would love to work for at the grocery store, at a social engagement or elsewhere, you need to be prepared to talk about how your skills could add value to their company. It is called an elevator pitch because you have about as much time as an elevator ride to introduce yourself and say a few things about your skills and abilities. Working at Home – which jobs are legitimate, which are scams? Atlantic Provinces Better Businesses Bureau http://atlanticprovinces.bbb.org/. Canadian Anti Fraud Centre http://www.antifraudcentre.ca/english/home.html. Are you planning to apply to Walmart, Atlantic Superstore or other major employer? Prepare to fill out a job application on-line. Large companies are becoming more reliant on computerized applicant tracking systems to narrow down the thousands of resumés they get for one advertised job. Be prepared for a few things when applying on-line. For security reasons, you will need to create a username and password. The username is usually your own name or e-mail address; the password is a minimum of six characters (including letters, numbers and symbols). Keep this information somewhere for safe-keeping. The other thing to prepare for, especially when applying to a large company, is an on-line pre-interview questionnaire. 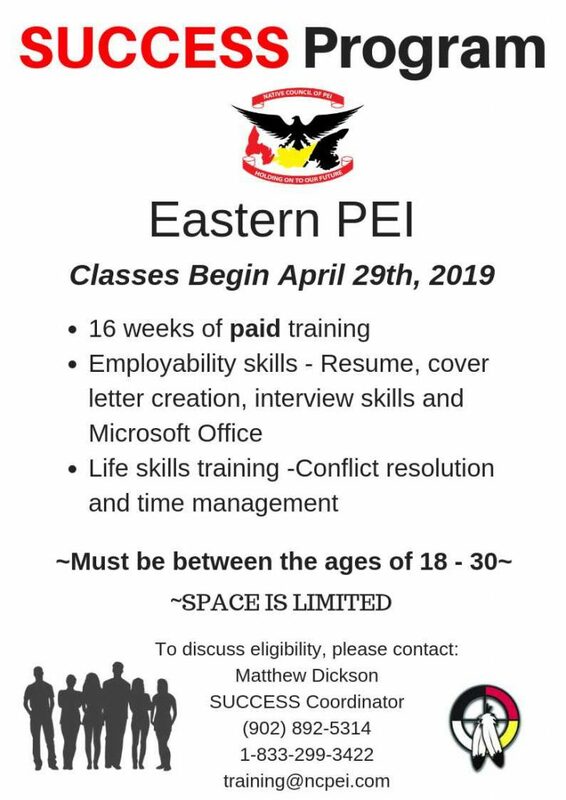 Expect to spend 30 minutes to an hour answering questions such as “What kind of worker are you?” “What kind of working conditions do you prefer?” When going through the process, don’t be afraid to get help from a friend or service provider such as PEI Career Development Services. Some job applications allow you to attach your resumé or type information into the space given on-line. Submit your resumé as a document, plain text or PDF using MS Word. When you “cut and paste” into the space provided, use plain text because it’s easier for the hiring manager to read. How do you sit in a job interview? What do you do with your hands and feet? This video from the TheSite.org gives helpful hints on proper body language during the job interview. The following Snagajob video shares techniques to help a job seeker calm down before a job interview. How do you stand out during an interview? TEDtalk: Every decision is a career decision. Career development expert Dave Redekopp evokes new ways of thinking about young people’s career decision-making. Vault Video has a good video on what to do during a job fair. This advice is also helpful for career fairs and post-secondary days at high schools. This video from Cleared Jobs Dot Net is a humourous take on the dos and don’t’s in attending a job fair. The video from the Better Life Coaches Channel on YouTube below has good tips on how to look for a mentor for your job search. This series follows a pair of recent graduates, Denis and Clinton, as they leave their home in Victoria, BC to journey across Canada in search of answers to the ageless question: How do youth build meaningful, relevant and sustainable careers? Road to Employment also has a career advice blog and a podcast. Check out their website here. What can to done to help post-secondary graduates? CBC News The Exchange reports on how the school system, government and employers can help college and university graduates get jobs best suited to their diplomas and degrees. Common Goal shows youth talking about what it takes to find work on PEI. It was produced by Career Development Services of PEI. For more information on Career Development Services of PEI, go to www.cdspei.ca. The Intern, starring Academy Award winner Robert De Niro, is about a seventy something worker taking an internship at a company run by a thirty something entrepreneur. It’s a comedy that brings to light the reality of mature workers starting over in a career. Two videos were recently produced on PEI to raise awareness of workforce participation of youth, newcomers and Islanders who have returned home. The PEI is My Home video campaign featuring people explaining their choices to stay on PEI. For more information on PEI is My Home, go to www.opportunitiespei.ca. Click for related articles about job fairs.